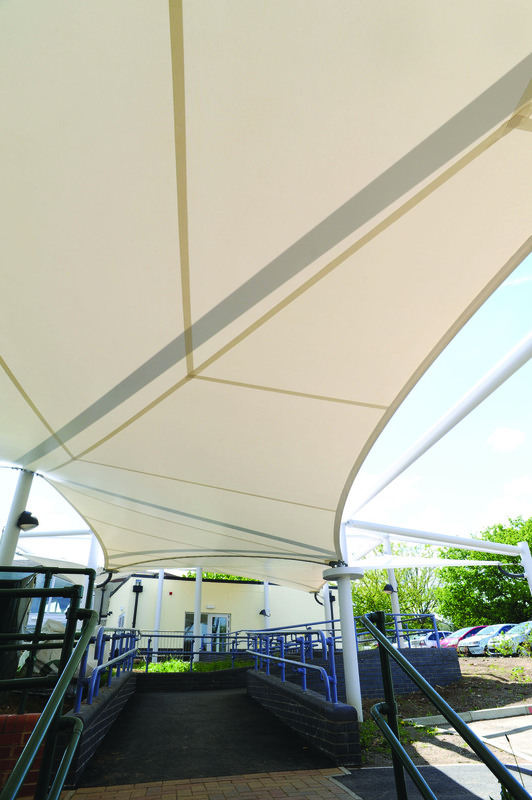 As part of a ￡3.78m extension and refurbishment project for the Royal Borough of Kingston, Keep it Kool was selected to design and build a 360m2 canopy linking two parts of the newly extended school. 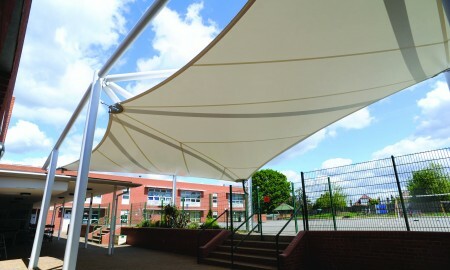 Working with Architects ECD, the new canopy provides a cost-effective solution as part of the design scheme linking a formerly disused and newly renovated 1960s building to the existing school on the first floor. 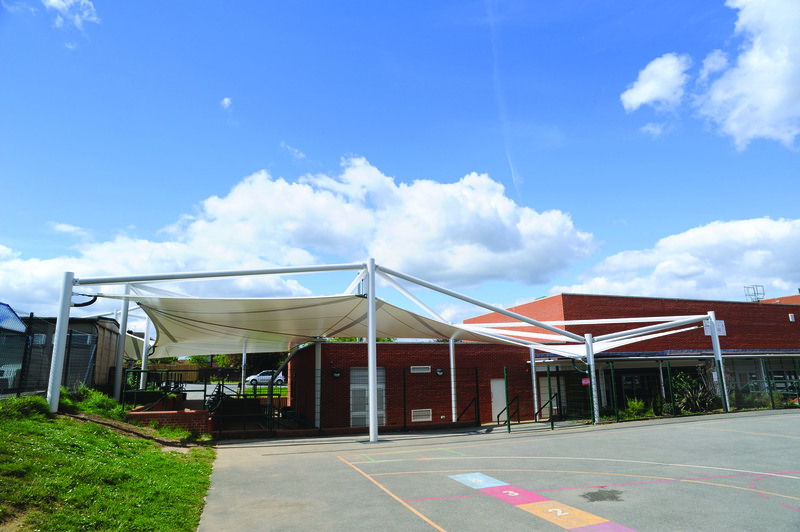 Allowing the school to expand from a 2-form to a 3-form entry, the project has created a total of 9 new classrooms, a larger nursery facility and new changing rooms for the school pool. 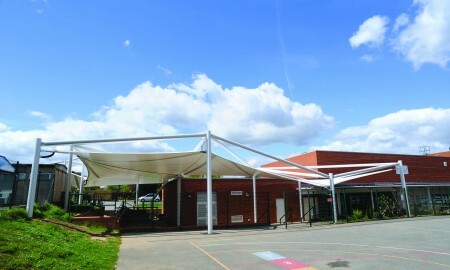 The installation of the canopy, installed on multiple levels was successfully completed by Keep it Kool’s own installation team. 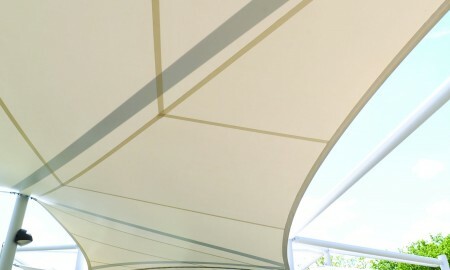 The canopy incorporates a drainage system which directs rainwater into the hopper and membrane plates which is then directed into the upright columns that are connected into the drainage system. 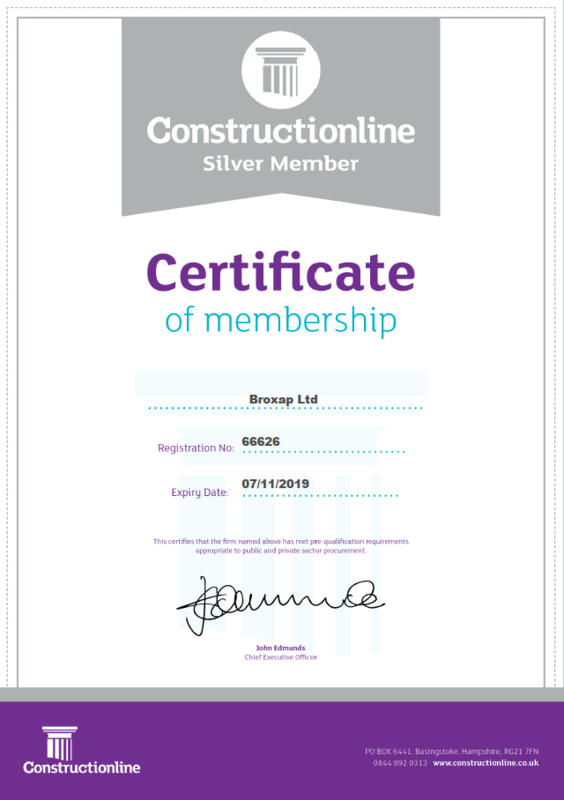 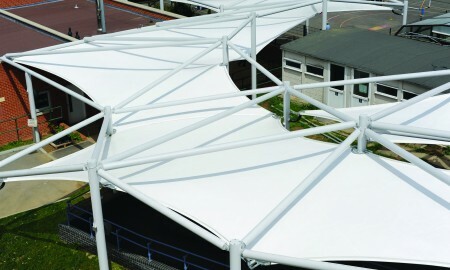 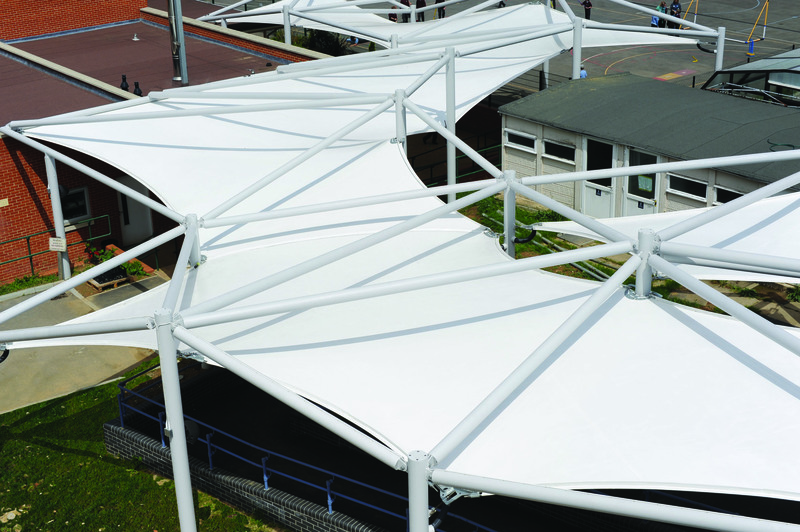 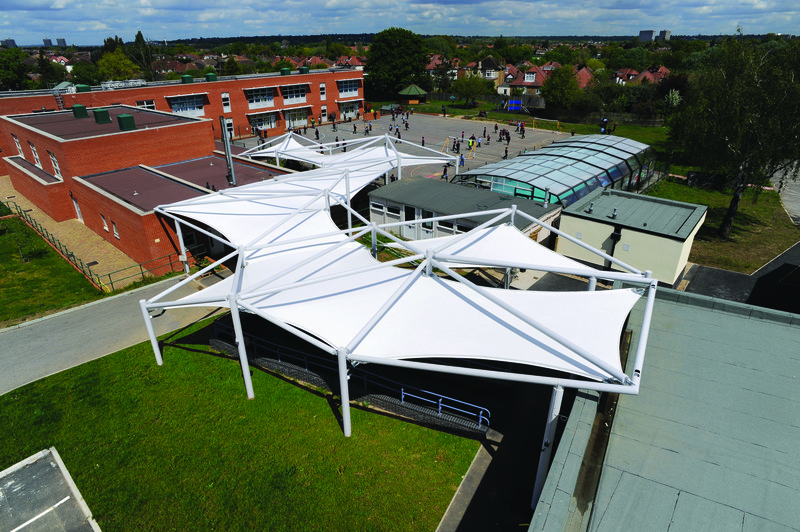 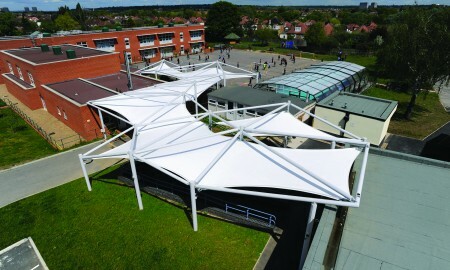 Its white membrane allows a good level of natural light transmission, whilst deflecting harmful UV rays and creating a cool dry space for pupils to pass between buildings.